It was my last chance for a while Predator fishing at Farmoor today and it was a perfect day for a spot of lure fishing. I was on no2 as a boat had been booked for a fellow L.A.S member but unfortunatly he had to drop out and I could not swap to No1 as all boats were booked. The hot spots on No2 are known to me and many more people, word from the warden is that the Perch had been HAMMERED so it was not going to be easy. The curly tail worm was my line of attack with different weighted jig head and a combination of cast and retrieve and vertical jigging. I was defiantly getting knocks from Perch but they were playing hard to get, the trout on the other hand were full on and would take the lures on both retrieve and vertical methods. Due to a lack of response from the perch I made my way around the reservoir and fished some spots I had picked out from past work with the fish finder and fished hard but they did not get me an elusive Farmoor perch or pike. As always I learnt a few tricks through trial and error and ended the day with six trout to the boat and returned. The water clarity was very good, there were trout being stocked into No1 and at around four o'clock there were signs of trout at the surface, I am not sure if they were stockies or not as there has been quite a few going in over the last few weeks. Time to dust down the fly rods. I think I may have discovered a down side to owning fancy new electronics/fish finder. We had a trip to Hanningfield yesterday 10th April and the conditions were spot on for a bit of drifting and lure fishing. We received a warm welcome and friendly chat with the wardens, bought our tickets (�80, 8 fish each and the boat) and set sail with pointers on the best places to fish. It was rock hard, with out a knock or a pull on the lure all morning despite moving locations and fishing the spots suggested to us. So we went in for a break in the very nice cafe for a snack and a cup of tea. We spoke to the wardens before setting out again and were sent back to one of the original spots were I managed to land two stockie trout to an orange curly tail. One of the fish was in very poor condition with fresh cormorant hole in it's flanks. Back to my original point at the top, I spent a lot of time looking at the fish finder as we drifted and cast out lures and I did not see any signals that could have been anything other than maybe a trout all day. We spent time drifting the cages which was and according to the warden are still home to some of the giant trout but more to the point big Perch but not a signal showed on the unit which has left me wondering about the general levels of A) stocked fish B) grown on fish C) other species of coarse fish in the reservoir. 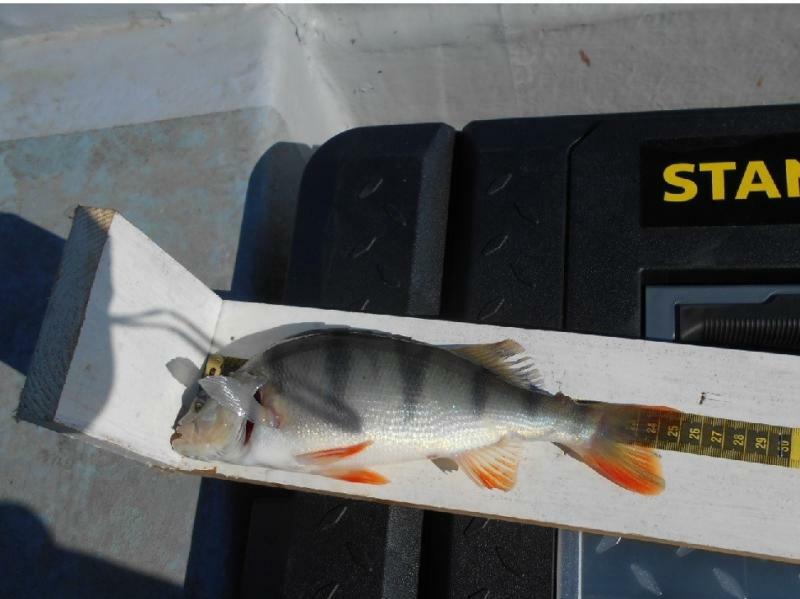 Although my fish finder is not top of the range, it is sensitive enough to pick up my 3 inch lure bouncing on the bottom, therefore it will show say a half pound perch or two at depth. 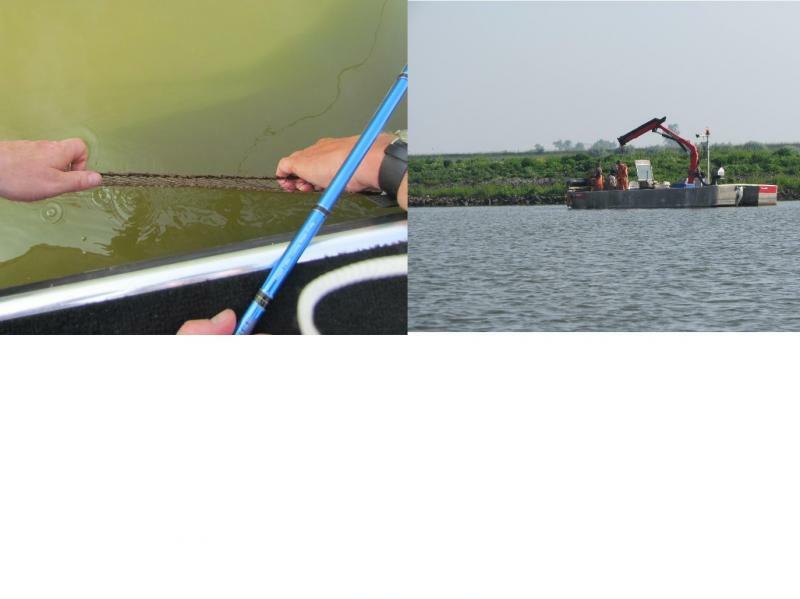 The point of owning a fish finders is to show suitable bottom and structure but also shoals of fish, the first we found and fished the second was not to be found, on this day for us. I do not think I will be going back soon, which is unfortunate as it is one of the few large sheets of water in my area that has boats and lure fishing all year around. May the 16th has arrived so I had a boat booked to fish the opening day for lure fishing at Pitsford, it was a lot quieter than last year with less anglers and boats left unbooked. The weather was playing its normal tricks and a strong cold wind had set in from the North which meant tricky boat control of drifts over the best areas. It again proved to be a day of a thousand casts but I was eventually rewarded with one Pike and one Perch. All of the fish that came to the boat were from shallow water between 2&5 Meters and the water clarity was very good but the wind made boat control over the shallow water very difficult and no doubt we spooked a lot of fish with the boat. As a side note I talked to some fly fishers on our return to the dock and they had a good day on the buzzers with around nine fish each, which tends to prove the point that lures are not the best method for feeding trout. 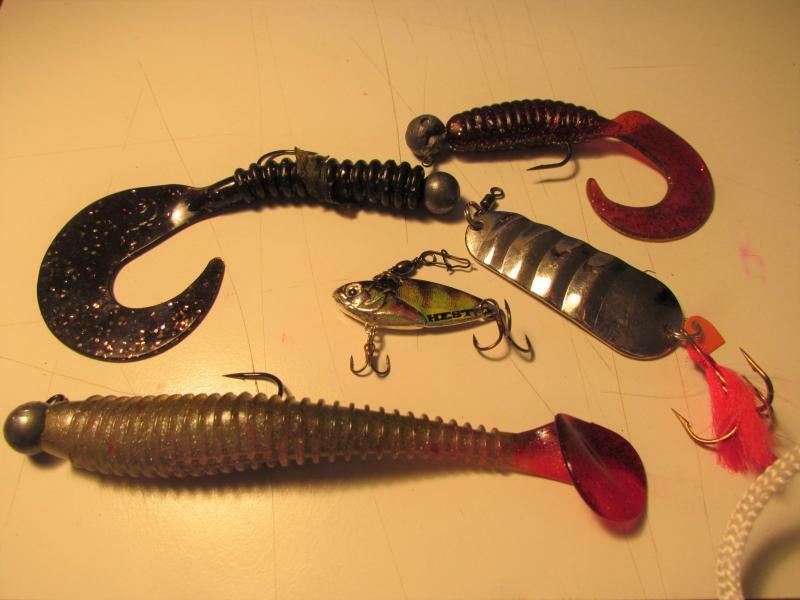 Here is a pic of some of the lures on the day, maybe I should have used some flashy models as I saw a few pike follow but not take, who knows. I have just returned from my second trip to Holland fishing the big canals and rivers with the guide that we used last year. Unfortunately the weather was well and truly against us, the forecast before leaving was daily thunder storms and rain but what we ended up with was Florida style sun with thunder storms at night. It was to hot for the water temp and fishing. I wish I could post pictures of me holding big perch but it did not happen. Robin had a few small pike and zander and all I had was one small perch fishing with the guide. 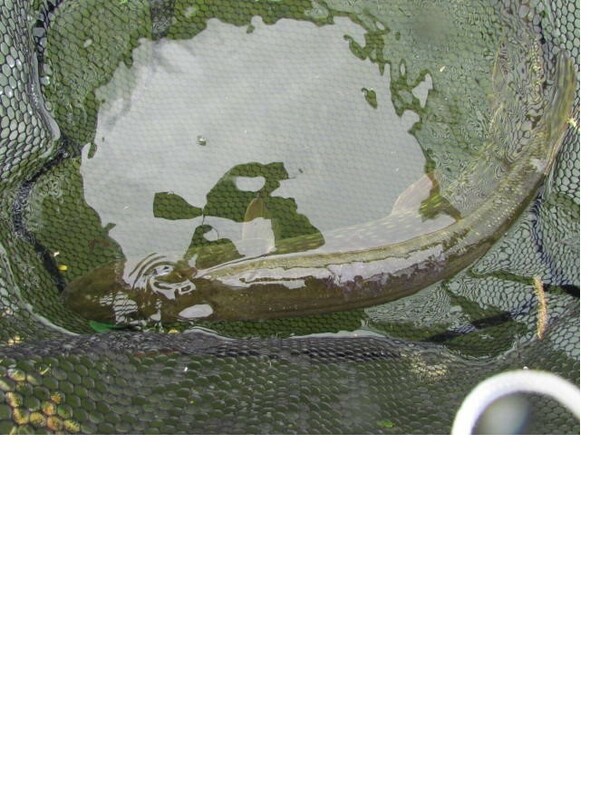 Meanwhile the guide caught a 20lb pike? I did learn a fair bit about vertical fishing and spent some time refining my drop shot technique more of which to follow. 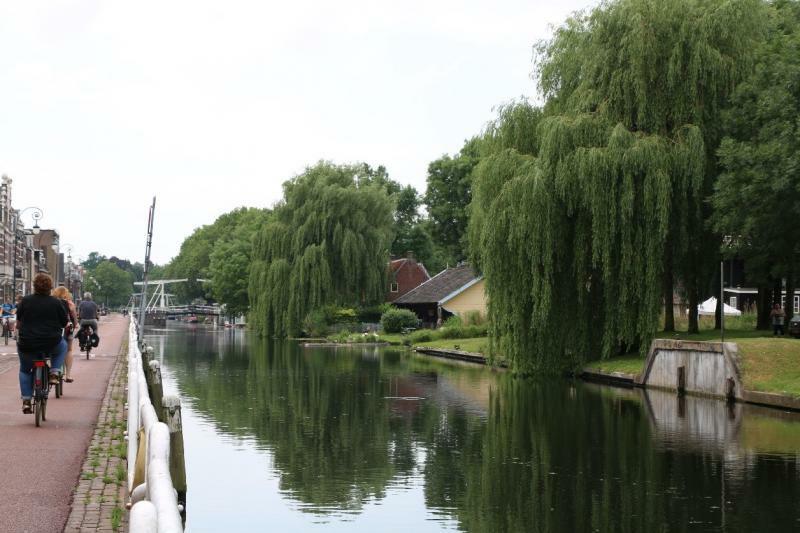 The really interesting thing for me was the fishing in Utrecht city canals, they are stuffed full of fish. I saw a shoal of at least 20 carp to double figures and big shoals of marauding perch. 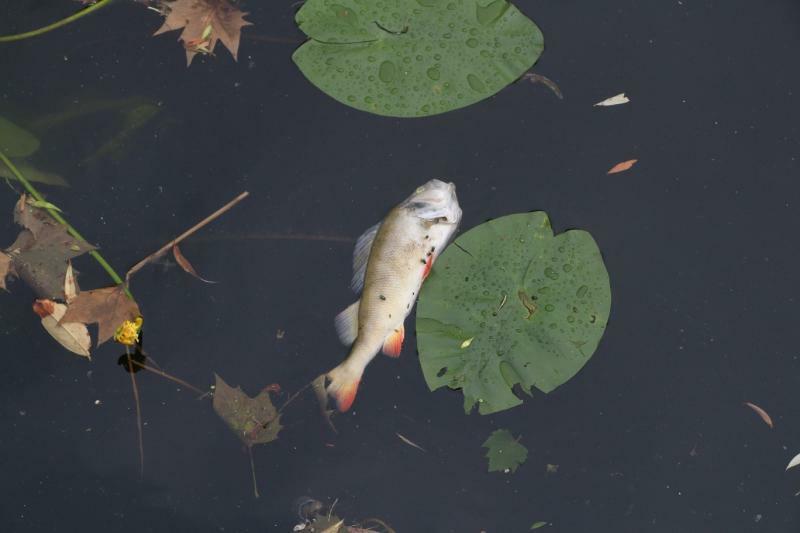 What really fired me up was seeing a dead perch of 2lb plus in one area. So I went back in the evening with the drop shot and fished the likely looking holes and what fun I had catching everything from little perch up to 2 pounders. This is the canal I fished so you can see how urban it is. I will go back as Robin now lives in Utrecht and the local fishing is to good not to. We may try another guide to compare the one we use against as we had some minor issues with his service. On the down side we did see first hand commercial netting of the rivers which can only be a bad thing for the long term fishing prospects. I have just purchased a drop shot rod, it is the Blackrock Avintine L 7.10, with twin tips. After having good success in Holland drop shotting with a standard light bait caster outfit, I tried a bit more drop shot fishing on my local waters with a great results. The rod should double up as a drop shot and a very light (1 to 3 grms) jig head rod with small soft plastics. I am planning an evening session with the new rod tonight. Today 24th August I visited Pitsford for a spot of Perch fishing in preparation for the LAS Perch Cup at Grafham next weekend. As always with Pitsford it is a day of a thousand casts, plus vertical and drop shot fishing. The conditions were far from perfect with a strong wind the odd rain shower plus an engine that would not start on the first or even the third pull. We eventual started to get some action when the lures were bounced along the bottom but actual takes were few and far between. 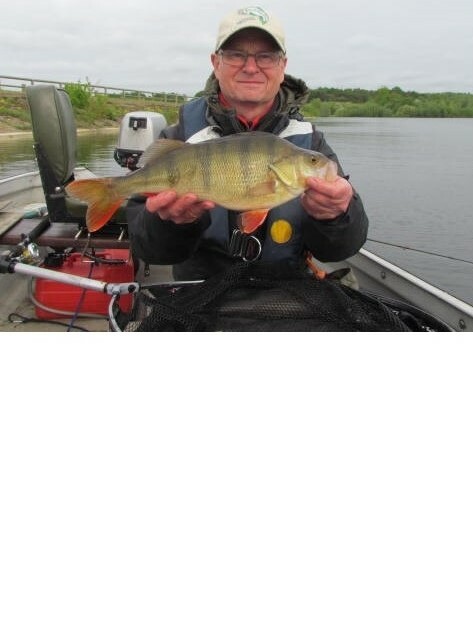 The perch in the picture was around two pounds and looks like a golden perch, that came to a 3 inch Vibro worm. Soon after I had an even bigger Perch on a 4 inch Mann's shad but unfortunately it threw the hook at the net and disappeared down into the depths. 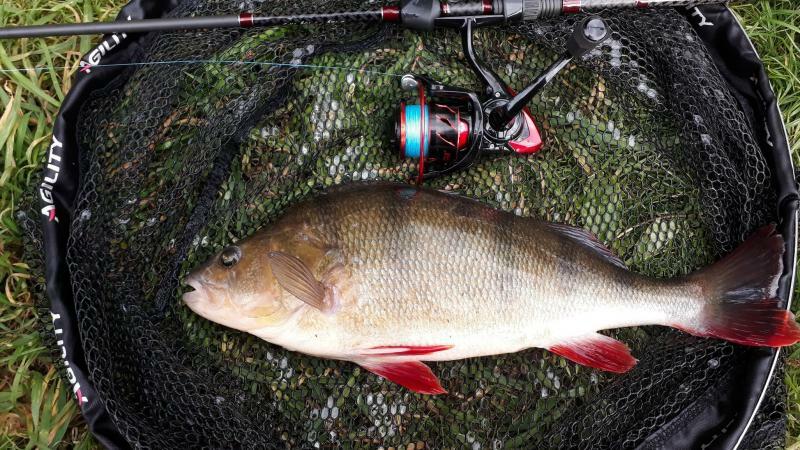 Fishing the Anglian Water reservoirs is always a famine or feast day, no complaints from me as the two perch made the trip worth while. Great fish Peter, real shame about the bigger one. It is the most amazing looking colour. Also love the Vibro Worms for perch and pollock. I use the 2” ones but then My perch are of a much more modest size. Never seen a Perch that colour before! That fish was certainly a first for me. I am always surprised how big a lure a perch will take, the four inch Mann's shad is a big lure. The Perch also seem to have no problem consuming the 3 inch Vibro worm but as Fossil-fish said the do like the 2 inch which I used on the drop shot, but the trout liked that a little to much. I have also ordered a new Transducer pole for the fish finder as my home made one finally broke. It was hot and bright with light winds on the day, the match was supposed to start at 9am but at least three quarters of the boats involved had set of before then ??? I did think about posing the question at the end of the match, that the boats that left early should be disqualified but chickened out as every one was bigger than me. 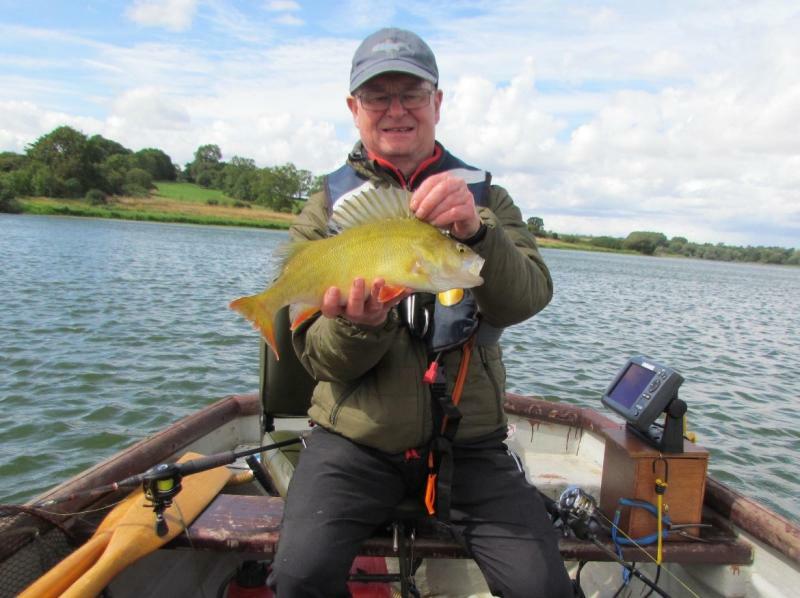 The fish finder with the new transducer pole was invaluable as it put us on shoals of perch which we caught with the drop shot unfortunately they were all small and my biggest fish was only 25 cm, the winning fish was 38 cm. By trial and error I did learn a thing or two about deep water drop shot and I was surprised about how sensitive the method is to tiny bites. A good day, the only down side is my neck is so red I will probably have to vote Trump at the next election. Brilliant Peter, at least you caught and had a good day. Well done. I remember fishing a pike competition many years ago run by a local organisation. Exactly same thing with the start time. Myself, and a mate I was travelling with, had to wait to pay our entry while the guy in charge was returning a 12lber at least half an hour prior to the official starting time. We didn't complain either. But then we did take first and second prize between us and I got a further prize for the biggest fish. We didn't get invited back and I have never been involved in a pike competition since. I had the Perch below this afternoon from a stretch of the Grand Union Canal that I have almost given up on due to poaching and other issues. It was around two and a half pound. I fished the drop shot in the hope there may be some small perch left, when I noticed fry scattering and big swirls in the water so I cast in and my lure was grabbed on its way to the bottom. Apart from the bigun I caught a couple of small perch as well, my guess is there are still some fish in there but they are spread out and hard to find, I got lucky and so did the fish as I returned them all non the worse for ware. Fantastic looking fish Peter. Well done.